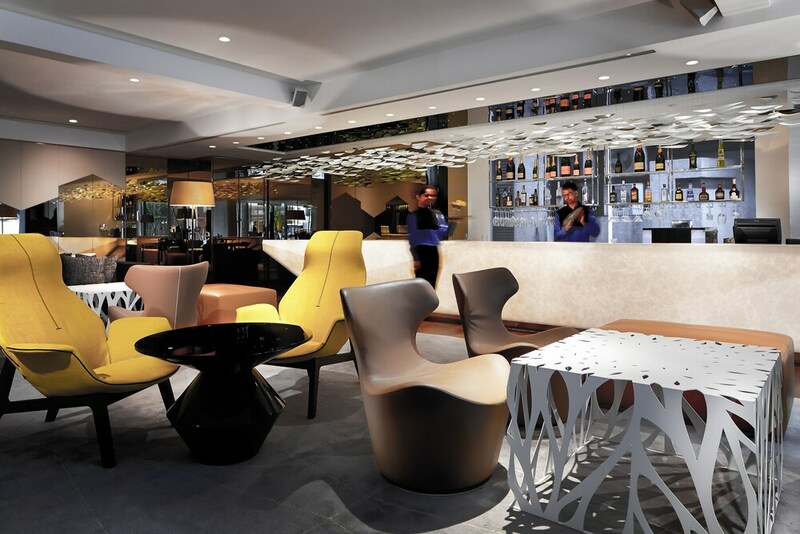 Located in the heart of Singapore, this luxury hotel is steps from Mint Museum of Toys and Bras Basah Complex. National Library of Singapore and CHIJMES are also within 10 minutes. Esplanade Station is only a 4-minute walk and City Hall Station is 8 minutes. Along with a restaurant, this smoke-free hotel has an outdoor pool and a 24-hour fitness center. WiFi in public areas is free. Additionally, a bar/lounge, a poolside bar, and a coffee shop/café are onsite. All 73 rooms feature thoughtful touches like minibars (stocked with some free items) and espresso makers, plus free WiFi and LED TVs with cable channels. Guests will also find DVD players, room service, and Egyptian cotton sheets. Naumi Hotel features an outdoor pool and a 24-hour fitness center. The hotel offers a restaurant and a coffee shop/café. Guests can unwind with a drink at one of the hotel's bars, which include a poolside bar and a bar/lounge. Public areas are equipped with complimentary wireless Internet access. This luxury hotel also offers a rooftop terrace, tour/ticket assistance, and multilingual staff. Parking is available onsite for a surcharge. Naumi Hotel is a smoke-free property. Table by Rang Mahal - This restaurant specializes in Indian cuisine and serves breakfast, lunch, dinner, and light fare. Guests can enjoy drinks at the bar. Happy hour is offered. Open daily. Rollaway/extra beds are available for SGD 75 per night.